ENGR 100, a five-credit course, introduces freshmen and pre-engineering majors to engineering design. There is no prerequisite except creativity. 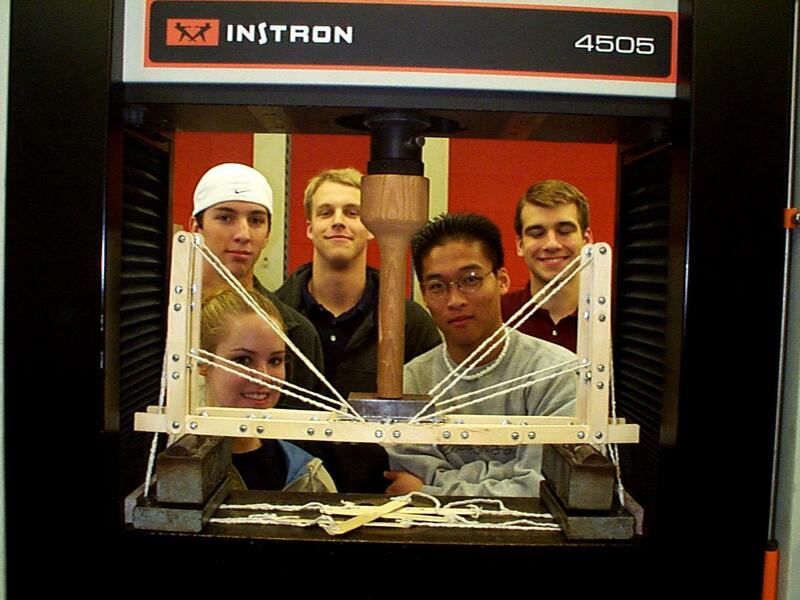 Through engineering projects, students learn the design process and the associated skills: communicating, creative problem solving, computing, and working in teams. Students also see first-hand how math and science relate to the field of engineering. And because of the small classes, instructors can provide students with extensive feedback, and students can learn from one another. With the class, students gain engineering experience and can begin to decide if engineering is the right career for them. To learn more about taking ENGR 100, see What is ENGR 100?